So just the other day, as I walked into Shoppers to pick up some lozenges to try to soothe the sore throat that wouldn't die (and has since turned into the hacking, painful cough that I want to murder), I found myself thinking that I wished there was another Essence Trend Edition on the way. Granted, I hadn't been scoping it out, so it was my own fault that I had no idea that there actually was a new Trend Edition on the way. Until today, when I was again walking into Shoppers to pick up all of the medicines to try and rescue my throat and lungs and I saw this. 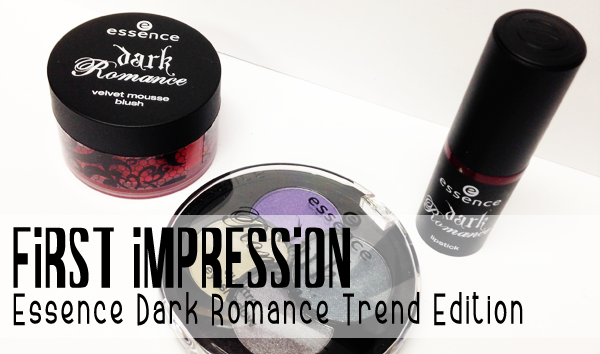 The Dark Romance Trend Edition. Not gonna lie... I got way too excited than I should have, but anyone who reads this blog knows that I love my Essence products. So. I crouched down and looked through all of the offerings and decided to pick up these three products. Now, also included in the collection were some stick on tattoos that I feel I'm distinctly too old for, a cream highlight that I knew I would never use no matter how hideous or gorgeous it ended up being, and some nail polishes that I had to stop myself from picking up. I am currently on a nail polish no buy, so I had to skip it, but the 3 shades probably would have ended up coming home with me as well otherwise. There was also a lipgloss... that was somewhat terrifying, and yet instantly made me think of a new Rihanna lip gloss from MAC. But maybe I'm just crazy. But rather than focus on what I didn't buy, let us focus on what I did buy. Keep reading for more. deep, dark and beautiful! 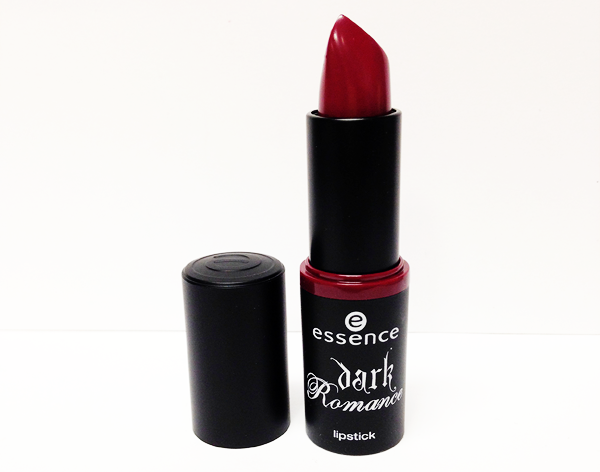 with the new essence trend edition “dark romance”, things are going to get mystical and romantic with a touch of darkness – a perfect match for the catwalk trend of the coming winter season: “gothic glamour”! a mysterious color scheme consisting of red, dark red, purple, beige, gold, dark blue, grey and of course black implemented in unique products. in addition to awesome beauty items for your eyes, lips, face and nails, the must-haves of this trend edition are the two effect lipglosses in beige-grey and black with a mega-sparkling finish as well as a trendy nail art decoration kit. rivets, rhinestones and little gems in gold and silver turn your nails into an absolute fashion statement. on top, there are cool tattoos for your face and body for a romantic goth chic look! "velvet dream! this blush has a velvety soft formula that feels super pleasant on your skin and conjures-up a gorgeous powdery finish upon application. 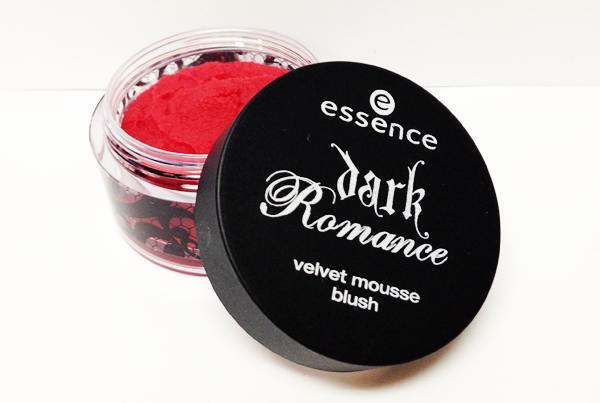 the intense red shade give you a natural, fresh-looking complexion." I was actually expecting this to be a much more berry shade of red, but it is actually a much more true red shade. However, when swatched this definitely doesn't skew too warm and I feel like it could be very flattering on many different skintones. Like other mousse blushes that I've tried, the texture when you swatch it with your finger is a little bit off putting, but it sheers out really smoothly and nicely. I can't wait to try this one the cheeks. "fo(u)r ever! the quattro eyeshadows with a silky soft texture and two lighter as well as two darker shades each – are ranging from shimmering to matt. an endless variety of gorgeous looks are guaranteed!" 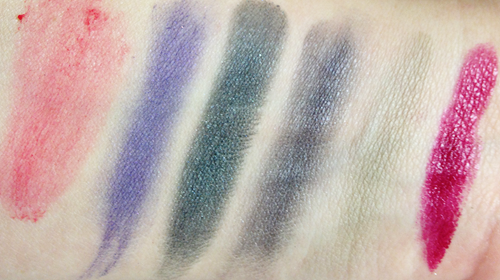 Now, I will admit that these are definitely not my first choice of eyeshadow colours and they probably won't become instant favorites or anything, but I've had some really good luck with this format of quads from Essence so I just couldn't resist. And who knows, maybe I'll go real vampy real soon... I am planning on dying my hair purple next week. Still, for the price these are actually pretty okay quality. 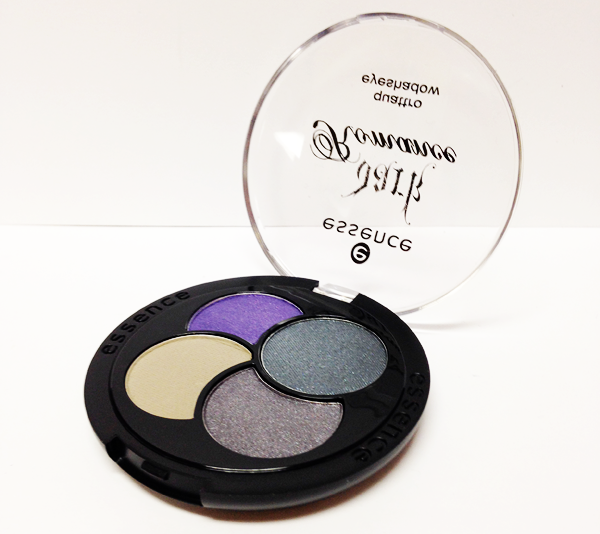 Surprisingly enough, the most smooth and buttery shade in the palette is the matte shade - which I think would be really pretty to blend out a cooler toned smoky eye. I'm definitely going to give this a shot on the eyes and see how we go. "red romance! the long-lasting lipstick provides intensive color in bright red for several hours. the light, creamy formula feels wonderfully pleasant on your lips and won’t dry them out." I've already talked about how much I like the formula of these new lipsticks from Essence, so there was no way in hell that I was going to leave this beautiful berry shade (the last tube left in the display, in fact) at the store. In the promotional images for this collection, this shade looks more like a true red than a berry, but it definitely has strong hits of fuchsia/purple in it. Really, my only beef with this shade is that I was hoping it was going to be matte, since a deep matte lip is what I always think of when I think of things that are darkly romantic, but it turns out it's a cream finish with a definite shine to the finish. Still, I can't be mad at this shade because it's gorgeous. 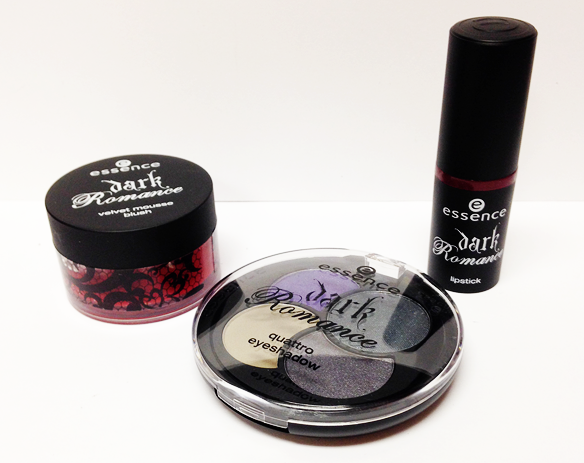 The Essence Dark Romance Trend Edition is available exclusively at Shoppers Drug Mart for the month of September. I highly recommend checking it out if these kinds of shades appeal to you.